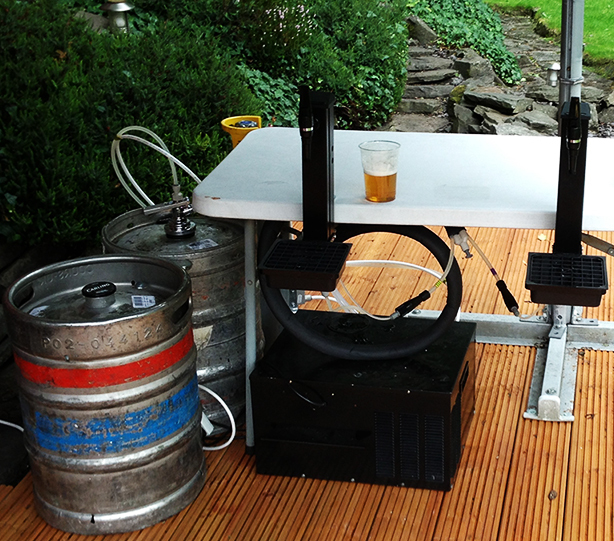 Our easy set up beer keg dispensing equipment can be assembled in any location such as home bars and outdoor marquees, all that is required is a table top or solid surface and an electrical output. 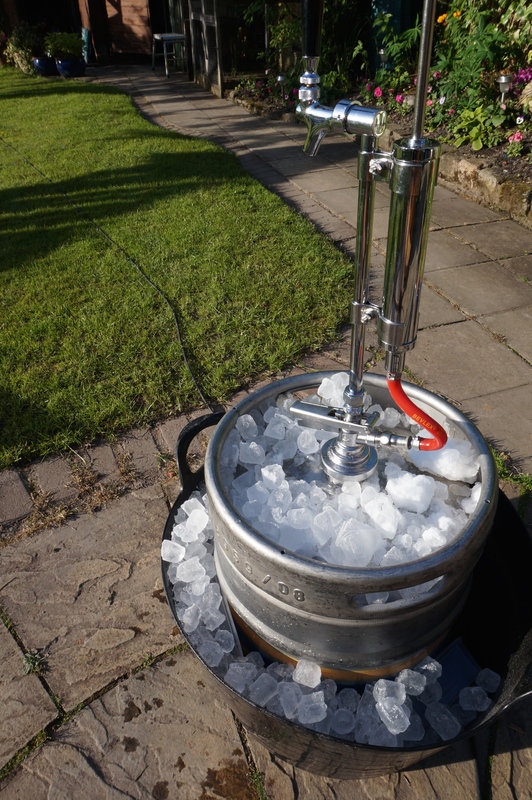 Our beer keg and tap hire is the ideal addition to any party from private parties such as house parties, garden parties, barbeques, student parties, marquees, and hen/stag do's, to larger events such as festivals, fairs, and corporate functions. We can provide any number of beer kegs / draught lagers to suit your party needs. 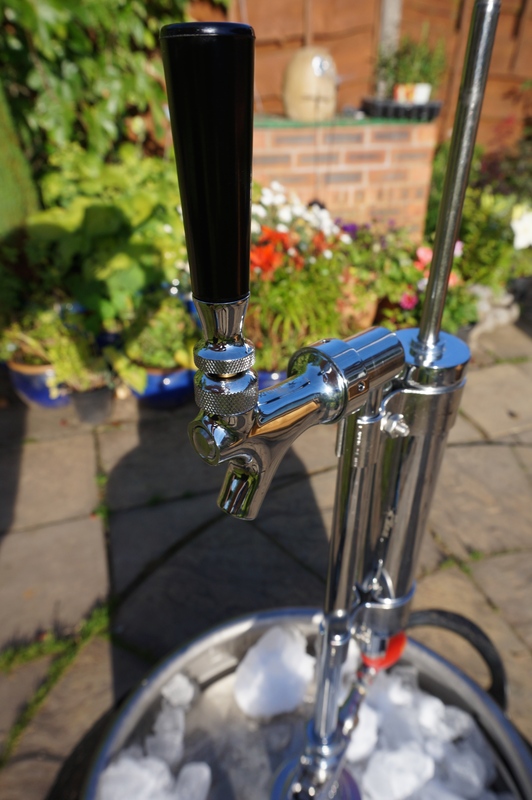 All of our beer keg dispensing systems can be set up and ready to use within 15 to 20 minutes of arrival, and bar staff can be available to serve your quests if required. We have an extensive range of beers to choose from. Most of Our kegs are 11 gallons which deliver 88 pint of perfectly chilled beer. 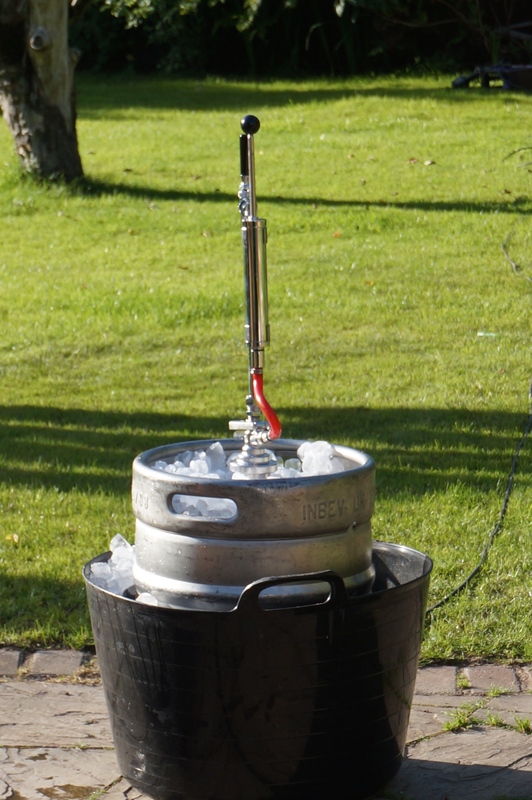 We hire keg dispense kits in the Stockport & Manchester areas, perfect for your family party or small event. Our dispense kits are available to hire from just £35 per night*. Additional units are available and can be hired for just £25 extra per pump*. Payments must be made prior to your party/event. Delivery is around Stockport & Manchester is FREE within a 15 mile radius. Dispense kits will be collected by our drivers the day after your party/event. We hire American style party pumps around the Greater Manchester area, perfect for small weekends away or bbq's at home. This american style pump is perfect for summer camping trips with friends and family. Simple set up, no need for electricity, its as easy as that. Our party pumps are available to hire from just £30 per night*. We stock a large variety of beer kegs, in 10 or 11 gallon barrels, perfect for our dispense kits or for any home setup.